Educational and other outcomes for looked after children are depressingly poor. While some thrive, all too many are let down by society. Last week I gave two courses on the role of the school and the designated teacher in supporting looked after children and ways to support LAC effectively, and one for carers and residential workers on the school role and how they can help children’s learning at home. All were for NSM, a training organisation I always enjoy working with. I was immensely impressed with the dedication of everyone on all the courses – their determination to improve the well-being and educational attainment of the children and young people in their care was inspiring. There was a huge amount of good practice shared. One of the issues that came out loud and clear was the vital importance of good two-way communication, both formal and informal between school and carers, and not just at times of crisis. Aspiration was another common cause. Carers and schools must show LAC that they believe in them and have high aspirations for them, and need to put strategies in place to help LAC develop self-esteem and high aspirations for themselves. No two looked after children are the same, and all deserve individualised support. Sadly, there is still a stigma to the LAC label, so great sensitivity is crucial. Below are some websites and reports I have found particularly useful. I am very much looking forward to delivering more training on looked after children in the summer term. It’s a topic I feel very passionate about. Those interested specifically in issues relating to looked after children’s reading, may also like to see this peer-reviewed article I wrote. I give courses on looked-after children and reading, and am currently writing an article about the subject, which has led me to check out the latest data on LAC in the UK. Around 90,000 children are in care at any one time. The most common reason for entering the care system is abuse or neglect. The average time spent in care is two years, but 13% stay for over five. Three quarters of LAC in England and Wales are in foster placements. Over half of LAC suffer mental health problems. Looked-after children are disproportionately likely to have special educational needs. Despite improvements over the last few years, outcomes for LAC are poorer than for their peers. This is very apparent in relation to educational achievement. 6% of care leavers went to university in 2011, compared with 38% of all young people. A third of care leavers were not in education, employment or training, compared with 13% overall. LAC fare much less well than their peers at literacy. In 2012 67% of LAC in England achieved the expected level in reading at the end of KS1, compared to 87% of non-looked-after children. (The gap for writing achievement was higher still.) The attainment gap in English between LAC and others at the end of KS2 was even greater: 60% achieved the expected level, compared with 85% of their peers. Looked-after boys’ attainment was considerably lower than looked- after girls’ at KS1, 2 and 4. The literacy attainment levels of looked- after children with SEN are significantly lower than those of non- looked-after SEN pupils. No breakdown of figures for attainment in individual subject areas at GCSE is available, but we know just 15% of LAC gained five or more A*-C GCSEs or equivalent, as opposed to 58% of non-looked-after students. It is hard to escape the conclusion that poor literacy levels are a contributory factor to low attainment at GCSE, and to other poor outcomes for LAC. (Almost 40% of prisoners under 21 were in care as children, for instance). There is lots that can be done to support and encourage looked-after children’s reading. Making sure they have easy access to books and other reading materials that are interesting and relevant is crucial. It’s one of the things I will be concentrating on in my article. 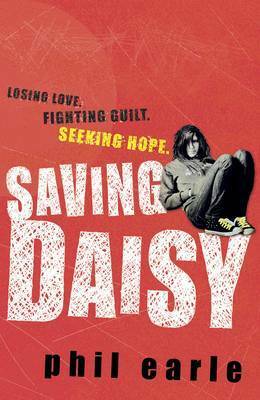 Saving Daisy and its companion book Being Billy are two of my favourite novels featuring young people in care. There’s a great festival of literature, music, comedy and performance for children at the Southbank Centre in London from 12-26 February. I’m not like Tracy Beaker on 13 February is a seminar on the experiences of children growing up in care, led by Young Minds. On 17 February, in an event called Lyrical Letterboxes, given in association with the Letterbox Club, Roger McGough, Jackie Kay & Lemn Sissay will be talking about their literary heroes, and the books they’d like to come through their letterboxes. From Pip to Potter, celebrating the place of children in care in literature on 19 February sounds fantastic. There’s a great panel of speakers, who will be led in discussion by Lemn Sissay. Other book-related events that caught my eye are performances of The Incredible Book-Eating Boy and Private Peaceful, plus a celebration of the Roald Dahl Funny Prize. And there are loads of authors appearing, among them Francesca Simon, Morris Gleitzman, Andy Stanton, Cressida Cowell, Jeremy Strong and Jacqueline Wilson. A little while back I blogged about Where’s Your Mama Gone at New End Theatre. Since then I’ve attended two very interesting performances. Unusually, the first of these took place in the morning, so that the BBC could produce a piece about it for a London news programme that evening. The audience included a dozen or so looked-after teenagers, who came with the Brent Virtual School. Their reactions to the play, which explores the impact of being in care, were fascinating and moving. They were very eloquent, first in their responses to the journalist’s questions, and later in the post-show discussion with the play’s writer, Brian Daniels, and the actor Shirley Anne Field. Field is an ambassador for Action for Children and was herself in care as a child. Many of the young people had experienced similar issues to Stephen and Carol, the two chief characters, particularly being left alone, being hungry, being lonely. For some of them, the beatings were also all too familiar. However they talked too about possibilities for change – about the importance of making the right choices. For some of them the play was clearly cathartic, and left them with a sense of optimism. I spoke to one young man afterwards who told me that his head was bursting with all the thoughts the play had sparked. Yesterday I went again, this time myself in the role of discussion co-host. It was extremely interesting to hear audience members’ views about the situations the play presents, about the care system in general (we were very lucky to have two people from the Who Cares? Trust), and about the role of theatre – and the arts more widely – in tackling this and other important social issues. It was great to hear that Daniels intends to take the production into schools to raise awareness and debate among lots more young people. Next Friday I am co-hosting the post-show discussion again, this time with the play’s director, Alexa Christopher-Daniels. I am very much looking forward to it. I am sure I will go away with even more food for thought. This is all so relevant in terms of my courses on working with looked-after children.